The largest, dedicated Halloween Shop in the region! 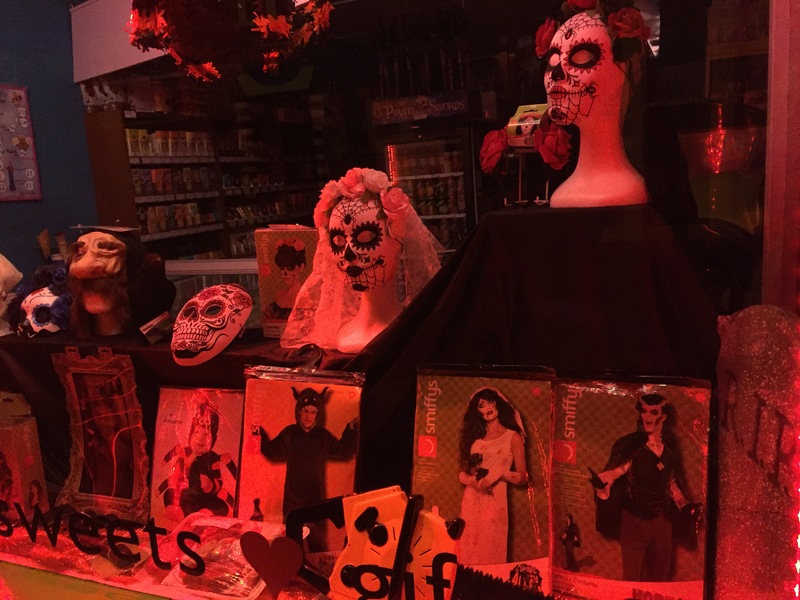 Our latest Hallowe'en stock is in and we've never had such a wide range of costumes, accessories and makeup as we have this year - all in our Threadneedle Street Halloween Shop, upstairs inside Confection Affection. We have more of our popular Halloween themed tableware, with plates, napkins and tablecovers that are ideal for memorable parties for the young one and the young at heart. We have increased our range of spooky face-paints, makeup kits latex gory wounds and scars - and it was great to see how well our customers used them last Halloween to make some stunning effects. We have an extended range of costumes, have sourced some brilliantly scary new masks and have some great wigs to top your look. Looking to host a Hallloween Party? You can look at some of our most popular tableware and decorations on our online shop. Our range of costumes and accessories can also be viewed on our online shop. 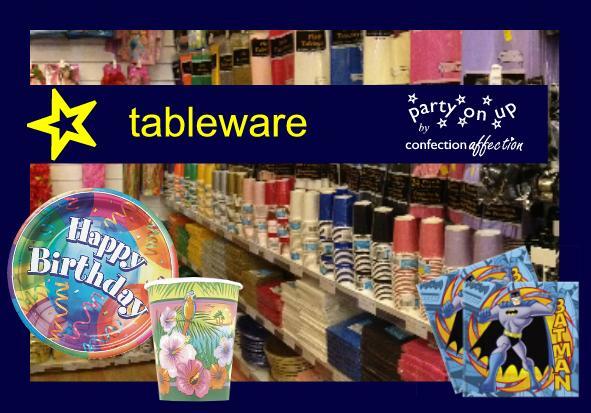 Our range of over 600 styles of foil, bubble, latex and character balloons are the largest in the region. 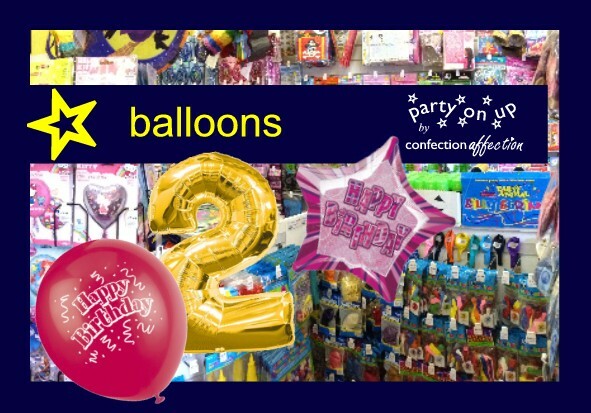 We supply impressive balloon arches and have a range of balloon bouquets to choose from in store. 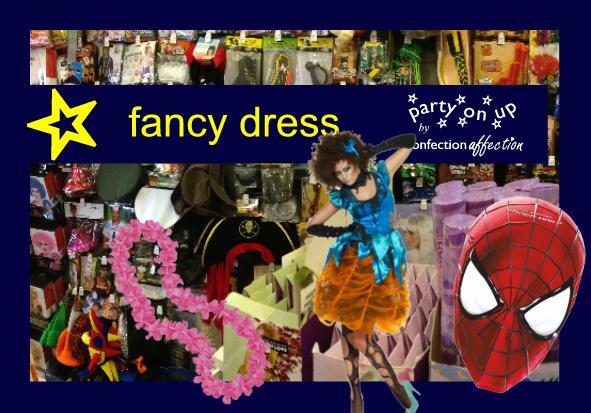 We have over 50 styles of wigs, a large range of fancy dress costumes, countless accessorites and over 50 styles of hats in our costumes and accessories range. Copyright © 2017, 2018 Confection Affection.